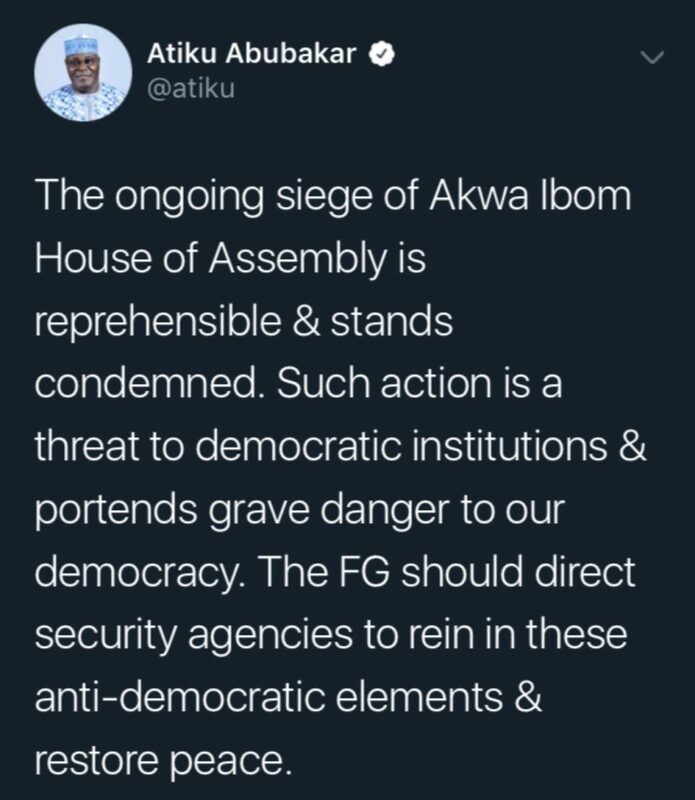 "The ongoing siege of Akwa Ibom House of Assembly is reprehensible & stands condemned. Such action is a threat to democratic institutions & portends grave danger to our democracy. 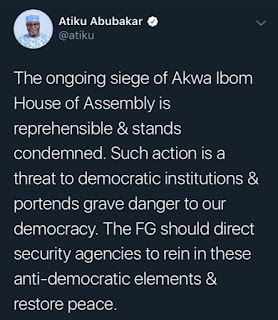 The FG should direct security agencies to rein in these anti-democratic elements & restore peace."